This is one of those great oldies that you rarely hear on the radio. It comes on SiriusXM, 60's on 6, occasionally and I always turn the radio up. The Tokens started making music together in Brooklyn as the Linc-Tones in 1955. Neil Sedaka was in the earliest incarnation of the band, but left early on. 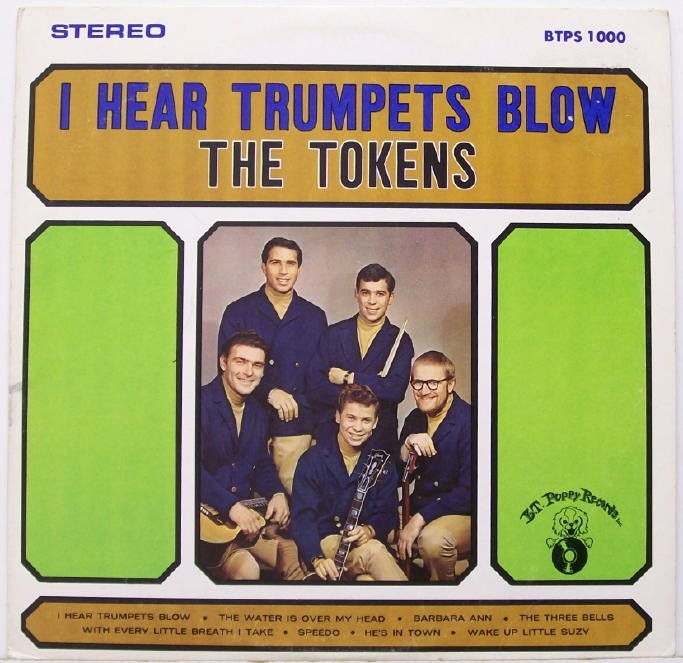 The Tokens' big 1961 hit was "The Lion Sleeps Tonight." 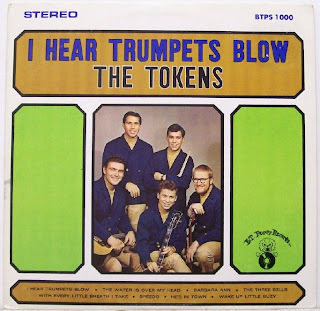 "I Hear Trumpets Blow" charted in 1966 and went to 148 on the U.S. charts. They had a cute puppy dog record label, too - you'll see it on the video clip.